Register now for our final summer workshop - note new date! Bill Bryant is a partner with DFJ and has been part of many investments, both Angel Investments and Venture Capital. 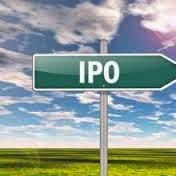 He will explore some of the issues that have come up as startups have moved along the path to IPO. This is an opportunity to have some of the twists and turns of the funding pathway illuminated. Please spread the word to companies that you know who might benefit from these discussions.